Vegan Eats and Treats! 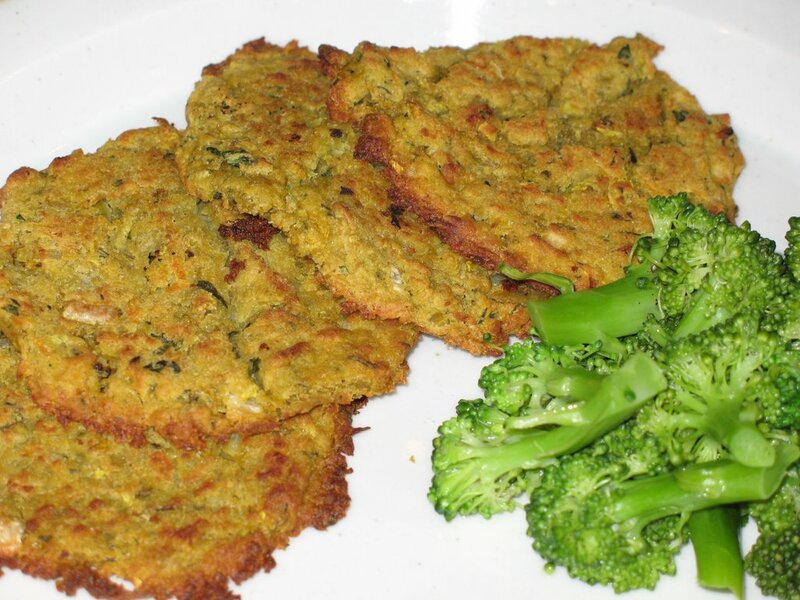 : Split Pea Patties! Tonight we had a big yummy salad, full of fresh, local, organic goodies. Super yummy! Also, we had these really tasty "Split Pea Patties" with some broccoli. The flavor on these patties was extra delicious: split peas, onion, garlic, potatoes, celery leaves, carrots, marjoram, parseley, nutmeg & a little flour. MMMMMM. The recipe was not quite perfect though, a bit difficult to work with. I think I'll try it again before I share the recipe. 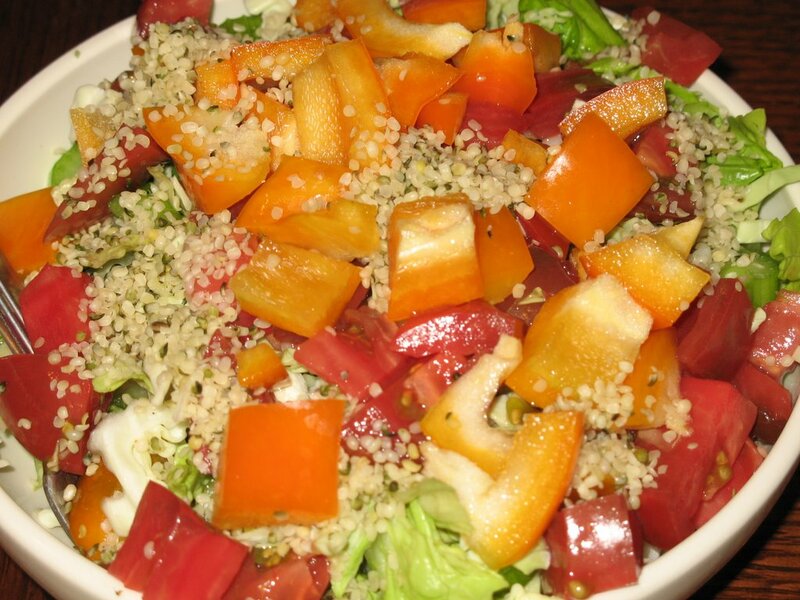 Your salad looks so colorful! BUt those split pea patties are distracting me... Lol! They look SO good! Can't wait until you feel the recipe is blog-worthy! They sound great!! Yum- you are so lucky you have such great produce from the farmer's market. Is it year-round? I have a friend who lived in Santa Cruz (now she lives in Soquel) and when I went to stay with her, I couldn't believe the dreamy things she got to eat all the time! Here in Syracuse, the only seasonal things in the Winter are squash, turnips, potatoes. ... So keep posting these colorful pictures for me! And I agree with Candi- can't wait to see the split-pea patties recipe. Yes, the split pea patties are great... sorry for not sharing just yet. The main problem was that they were far too moist, which made them really difficult to work with (and they had to cook for so long as a result). This came from me cooking the split peas into oblivion (by following the directions, of course - where's my independent thought?!). So I'll make them again soon and see if I can refine it to a more easily recommendable recipe. Also, I thought that they could have benefitted from some sort of sauce, but as they are quite flavorful themselves, it would have to be something light... hhmmm. I actually live in Soquel too! I wonder if I know your friend!? I just always consider it part of Santa Cruz, since it more or less is... and also because I was born in SC and my whole family lives there, so I feel like a Santa Cruzan. 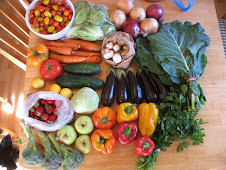 Here in SC County we are so blessed in the way of farmer's markets. We've got one pretty much every day of the week in different parts of the county, and even 3 markets to choose from on Saturday morning. I am extra lucky to live close to the largest of them all, which is a year-round market on Saturday mornings. It's so fun, there's always music, food, flowers, people I know... I love it. That's so funny that you live in Soquel, too. My friend's name is Kerry- she's vegan too, she's into yoga, too... maybe you know each other? That would be so funny.